Holotype: BMNH 2016.7.6.1, 209 mm TL (incomplete, tail damaged). Paratypes: BMNH 2016.7.6.2, 167 mm TL (incomplete tail damaged), BMNH 2016.7.6.3, 158 mm TL, BMNH 2016.7.6.4-5, 164-203 mm, BMNH 2016.7.6.6, head missing but rest 115 mm, ZMUC P 9415, 120 mm TL. Dug up from sandy soil in farmland with banana and cocoyam crops and tree ferns and palm treesCameroon: Mundame, along river Mungo, near Kumba (4°33' N 9°31' E). Traditionally subterranean biologists have not considered the soil fauna as part of the subterranean realm and they have not studied it. However there are a number of similarities of habitat, especially darkness but also confined space analagous to interstitial habitats, and of evolutionary trajectories such as reduction in eyes and pigment and in body size (Culver and Pipan 2014:128-141). 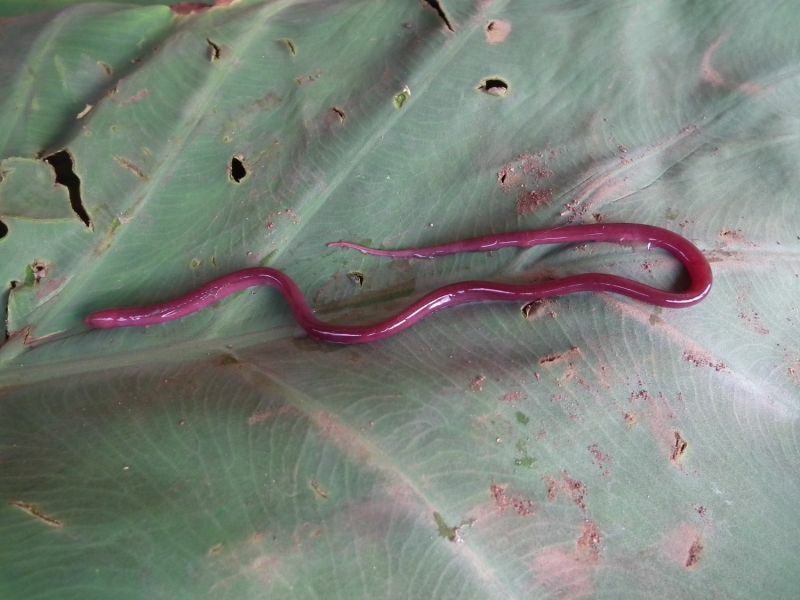 This species and Monopterus rongsaw are the only known soil dwelling fishes but there are 35 known species which inhabit the interstitial subterranean environment which is in many ways analagous. Both are shallow, dark and space limited (Culver and Pipan 2014:106-127) and if the two Monopterus species are compared morphologicall to the most exteme interstitial species many similarities can be noted. [See also Culver and Pipan (2008) and Pipan and Culver (2012) for discussions of shallow (or superficial) subterranean habiitats, SSHs]. A member of the 'Amphipnous group' of Monopterus. Culver, D.C. and Pipan, T. Journal Article 2008 Superficial subterranean habitats - gateway to the subterranean realm?